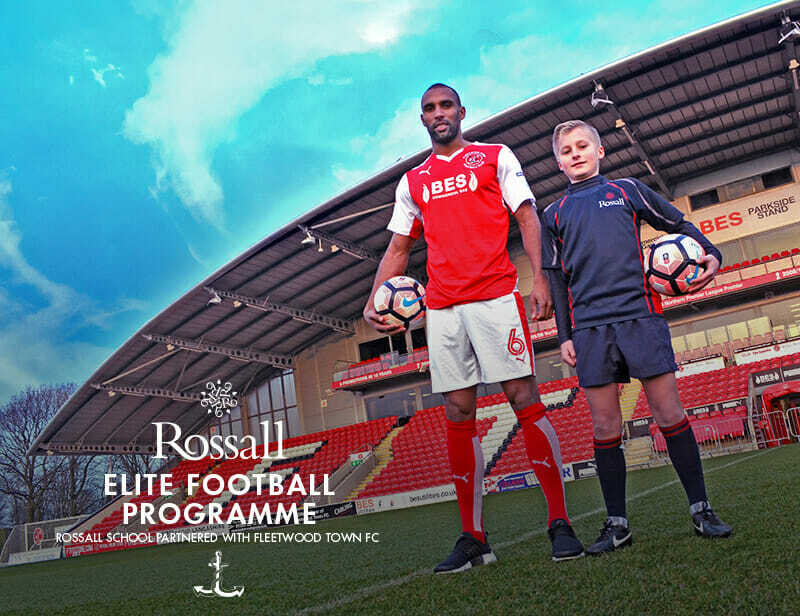 Rossall School in partnership with Fleetwood Town Football Club is offering the opportunity to study at a HMC Independent School, whilst being immersed in the world of a professional league football team. Each pupil would be part of an elite Football development programme under the umbrella of Fleetwood Town Academy delivered by their elite coaching staff. This would run alongside a bespoke curriculum of education, tailored to the needs of the individual, delivered by the experienced teachers of Rossall School. Fleetwood Town Football Club is a professional English Football League Club with a major commitment to nurturing young talent. It has a future firmly focused on development and pathways to success, demonstrated by the recent opening of its £10m state of the art training complex at nearby Poolfoot Farm, recently opened by Manchester United’s former manager, Sir Alex Ferguson. A level and the IB Diploma. Whether you have already played in a Professional Academy, with aspirations to play professionally, or simply wish to develop your footballing ability, the programme is designed to develop players, so that they can fulfil their potential, with opportunities to progress at various levels within the sport. Fleetwood Town’s Poolfoot Farm Complex. develop and produce creative players that are physically, technically and tactically astute’. Players will become familiar with the ‘FLEETWOOD TOWN 10’, a series of ‘ball mastery’ exercises, which are implemented at every training session. Pupils would initially choose their academic course at Rossall from the range on offer. They would have to attend for a minimum of one year. The cost (excluding school fees) to join the Elite Football Programme is £1335 per term*. The age range of pupils on the programme would be from Year 11 to 13.